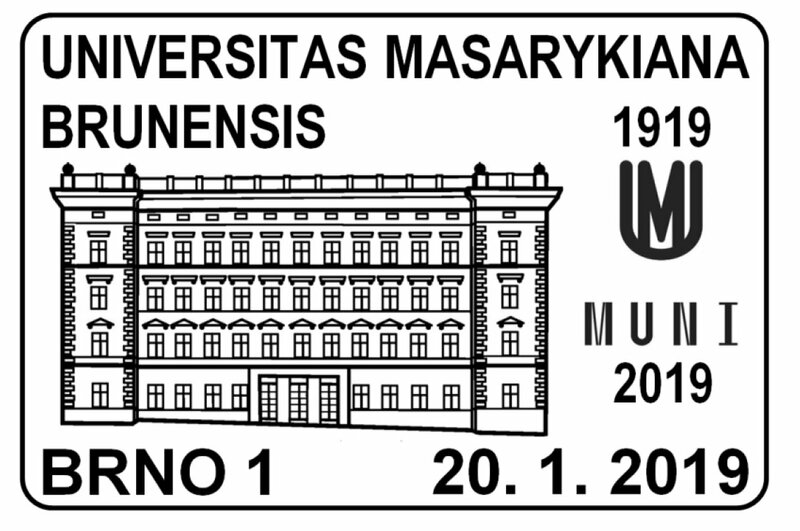 - 21.- 31.1. 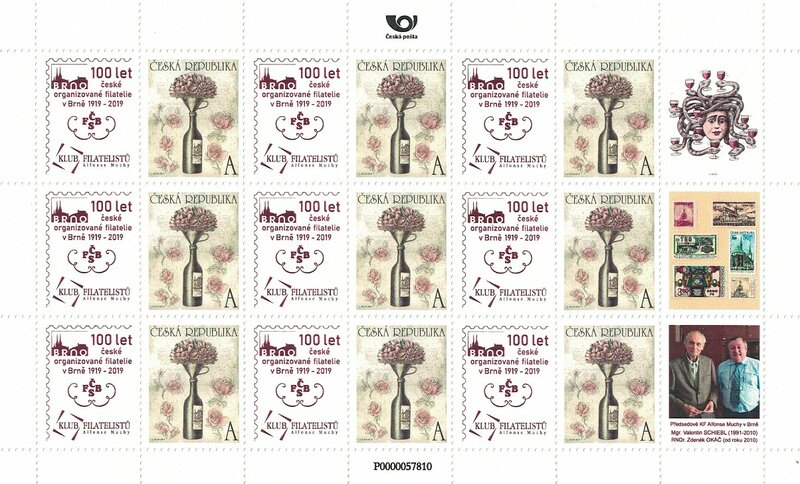 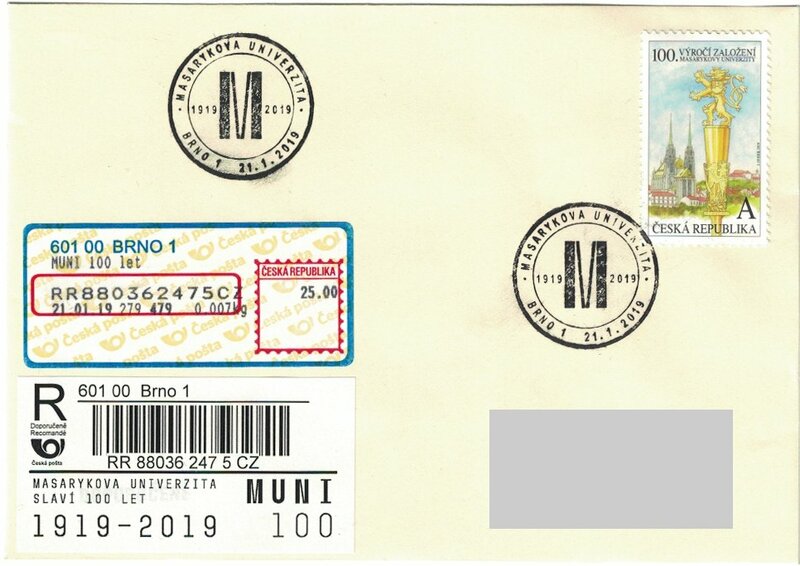 2019, commemorative postmark, Post office 601 00 Brno 1. 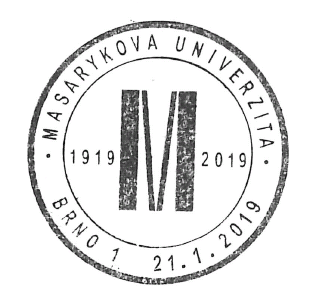 - from 21.1. 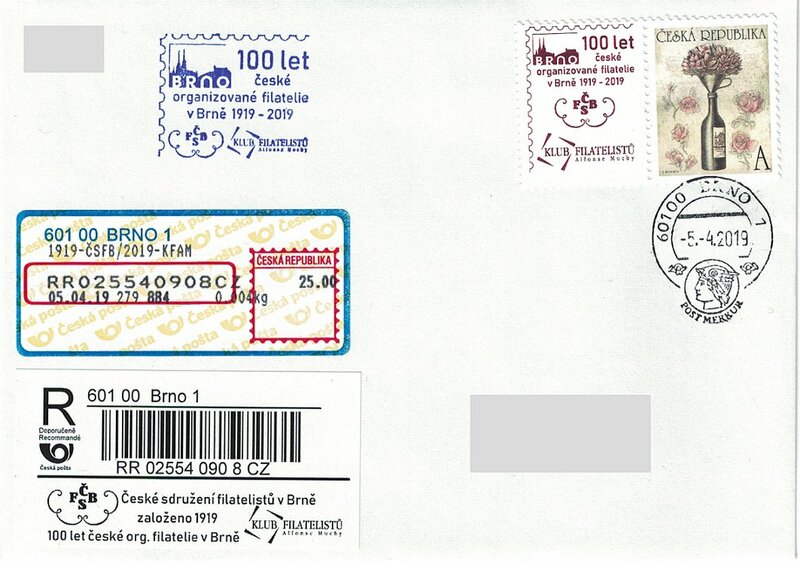 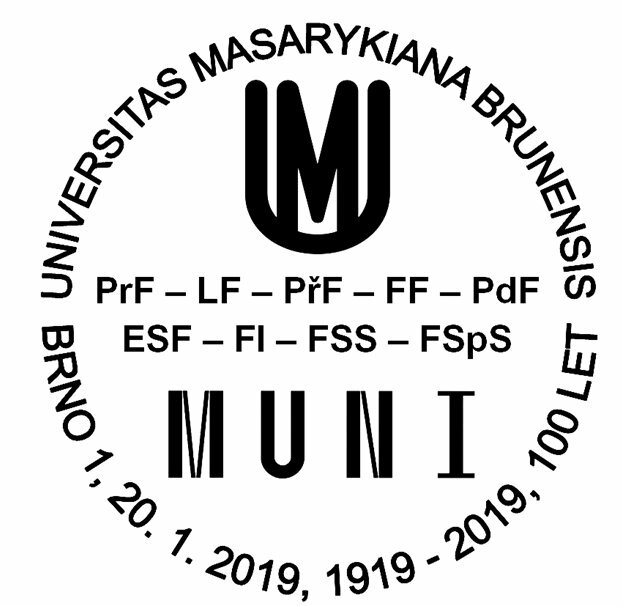 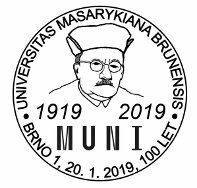 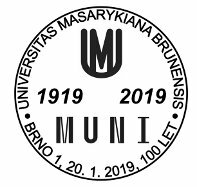 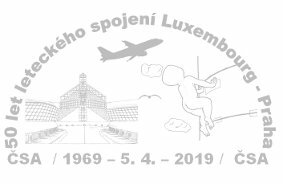 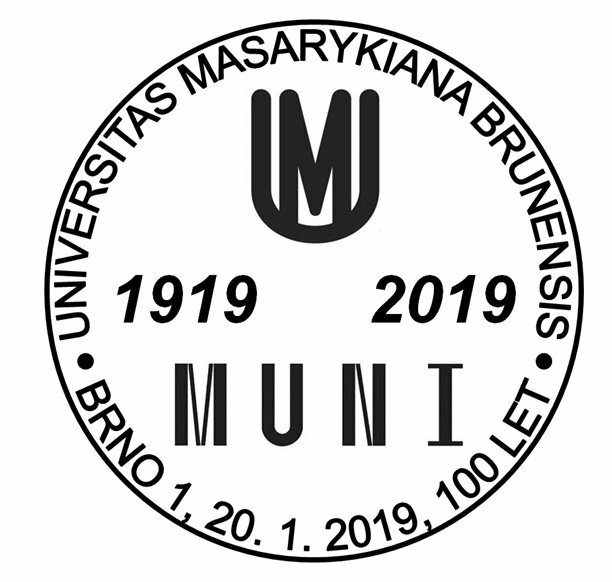 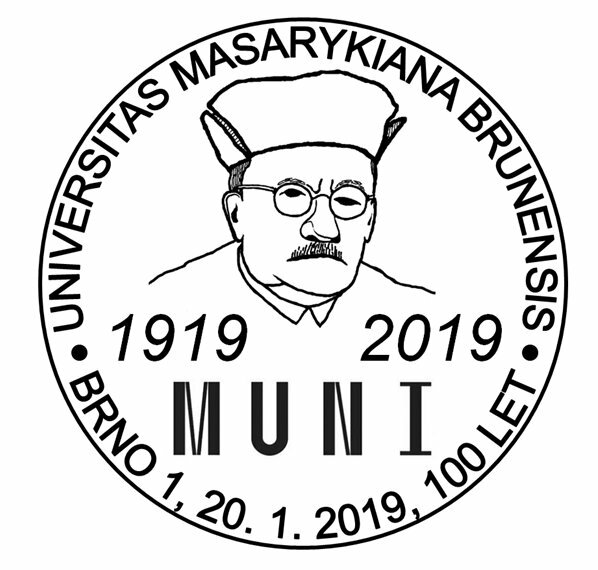 2019, commemorative R-sticker, Post office 601 00 Brno 1. 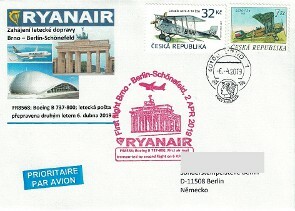 - Philatelic Club Auction - every last Saturday in a month (except the hollidays). 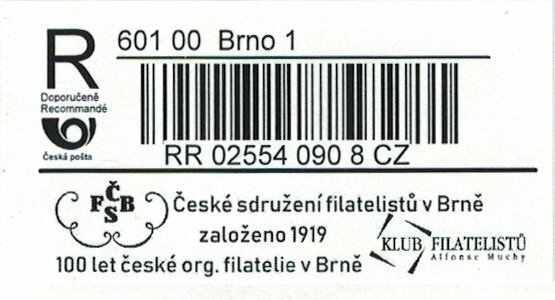 Beginning at 8,00 a.m. 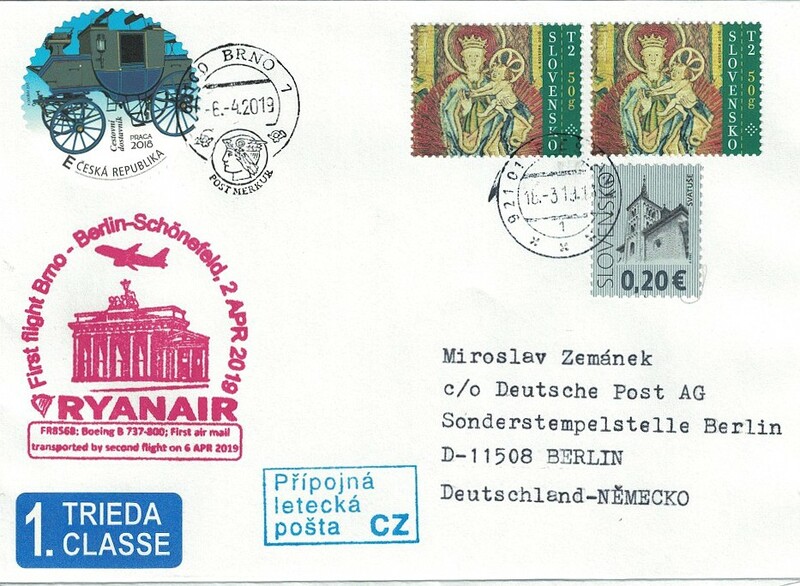 Viewing of philatelic material - before auction. 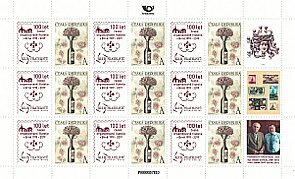 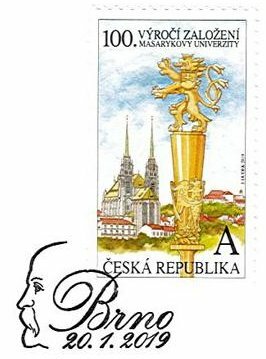 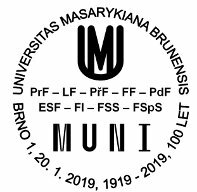 From 8,00 to 11,00 a.m.
28.3.2019 Czech post don´t enable baloon post without commemorative postmark (organizing baloon club hasn´t money and time for it). 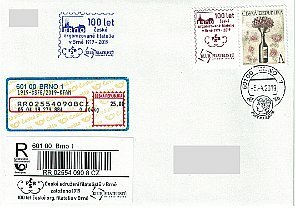 Organized by Philatelic club in Javorník u Jeseníku. 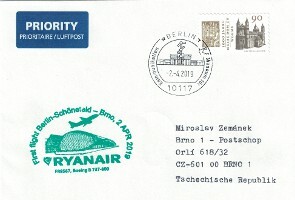 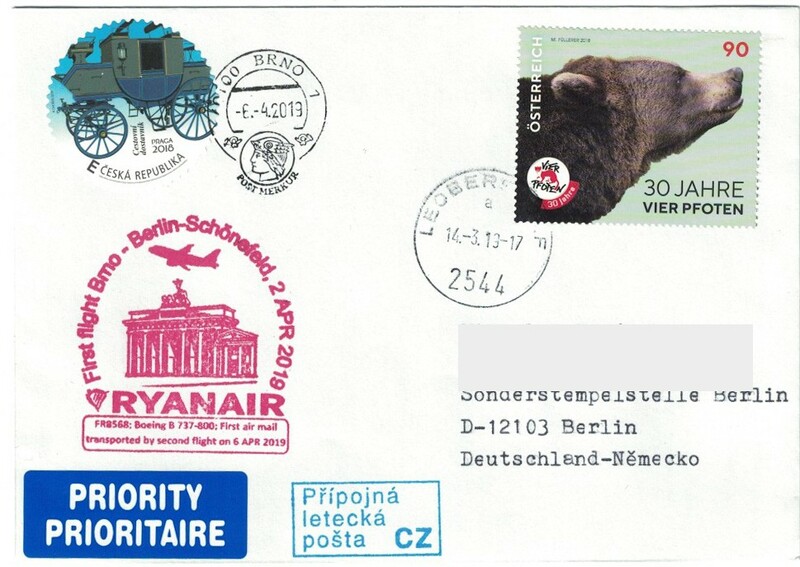 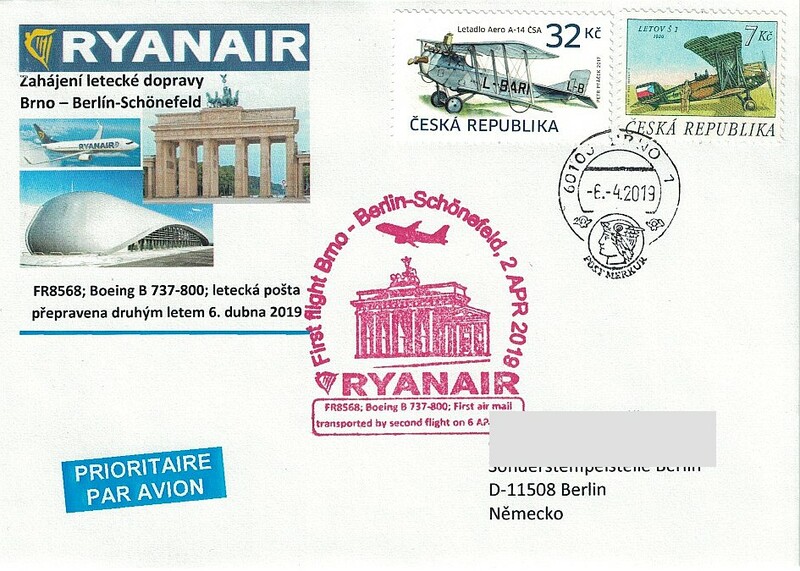 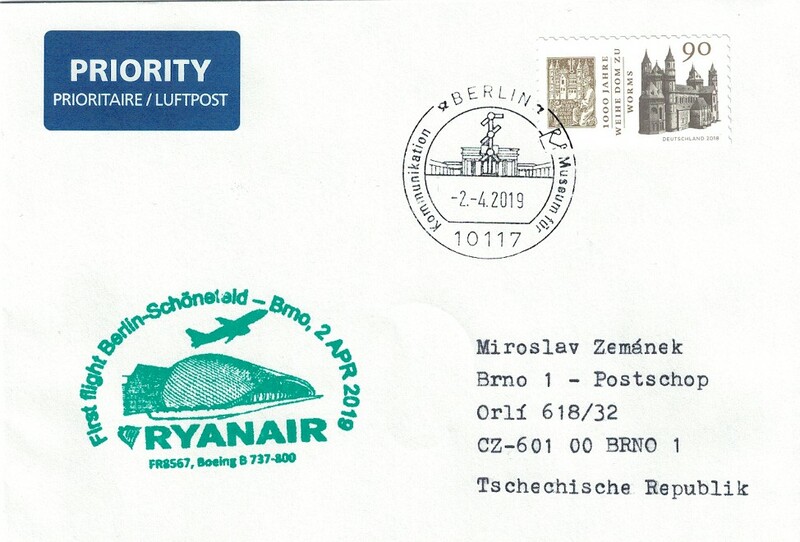 Some of German letters have commemorative stamp of franking machine (first flight Ryanair Berlin - Brno).